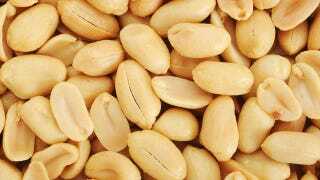 "The Department is prohibited by law from restricting the serving of peanuts aboard aircraft unless a peer-reviewed study determines that serving of peanuts causes severe reactions among airline passengers. There has been no such peer-reviewed study, so we declined to take action at this time." Some airlines have voluntarily stopped serving peanuts or created nut-free areas on flights, but Delta, American and several other airlines tell passengers they can't guarantee a peanut-free flight.